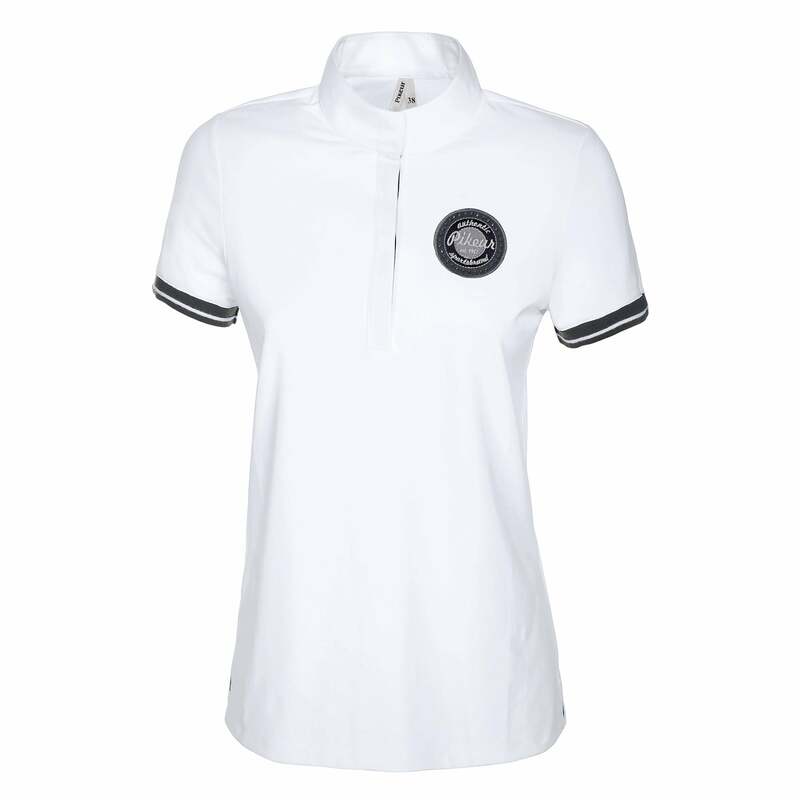 The Pikeur Enja Competition Shirt is made from fulgar nylon, a lightweight, stretchy and fast drying specialty fabric. The Enja Shirt features the Pikeur logo with stud detailing on the left side of the chest and a contrast ribbing on the armholes. This lightweight competition shirt is perfect for keeping you cool and dry in and out of the ring.